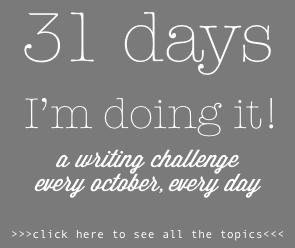 This month I started a Children’s Literature course two nights a week. I absolutely love it. Also, I absolutely underestimated the workload. When they say “2 month intensive,” they mean it! May is all about juggling my normal life and reading stories I love at a frenetic pace. Altogether, not a bad month. 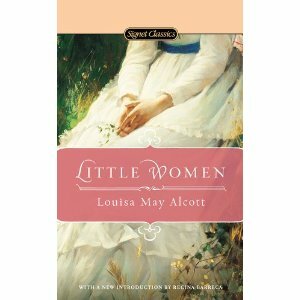 My favourite so far is Little Women (prequel to my VERY favourite book Little Men). Unlike most of the young punks in my class, I was raised on Alcott. They ask, “what’s the point?” and my soul weeps. Seriously, I like explosions and dramatic plot twists as much as the next gal, but sometimes a good story finds the magic in the everyday. A close runner-up is one of those great read-aloud stories Charlie and the Chocolate Factory. Before Johnny Depp, before Gene Wilder, Charlie stood on his own two feet and, as usual, the book is better than the movie. Plus, as a parent, I gotta appreciate any adventure where the victory goes to the best behaved child. Can’t wait to read it to the boy someday! The Secret Garden can still hold its own. Mary Lennox is a wonderfully bratty and damaged character; you can’t help but root for her. This is my mantra this month. This is brilliant. Walk Off the Earth does some amazing covers. I prefer their version most of the time. Now an original song has made my playlist (and every radio station around; I’m not exactly cutting edge here). Playing it until everyone around me is sick of it… Red Hands. So… I don’t have much time to watch TV this month, but I did watch a few episodes of my Dad’s new favourite, Duck Dynasty. It’s pretty much the direct opposite of all those Real Housewife/Jersey Shore/Keeping up with the Beautiful People reality shows out there. These are the rednecks my father aspires to be. If only mom would let him grow that manly beard… but alas she insists he put his teeth in and remove his raggedy truckers cap in the presence of company. And in bed I suspect. Surrounded by females all his life, I know he was relieved to score three sons-in-law and even a couple grandsons. Sadly for him, there’s not a single good-ole-boy in the mix. He’s found some kindred spirits on Duck Dynasty and I must admit I find them both hilarious and comfortingly familiar. It’s like spending some time with my Dad. Again… not much time. But no self-respecting Sci-Fi dork would miss the new Star Trek movie. There are enough subtle references to the campy original to mollify hard-core Trekkies (Tribbles! ), but not so much that my way-too-cool-to-love-Trek husband couldn’t follow. You don’t have to be a nerd to love this film (but it helps)! Jury’s out as to whether Benedict Cumberbatch makes a better Sherlock or Trek super villain. I think he could probably play Mary Poppins and still blow us away with his intense brilliance. Wicked! So here’s me, and the highlight of May… drumroll please… as of yesterday, I’M AN AUNT AGAIN! Welcome Baby Charlie!! This entry was posted on Thursday, May 30th, 2013 at 6:30 am	and tagged with Benedict Cumberbatch, Charlie and the Chocolate Factory, Duck Dynasty, favourites, Little Women, Narnia, Red Hands, Secret Garden, Star Trek, This is water, What I'm Into (May 2013) and posted in favourites. You can follow any responses to this entry through the RSS 2.0 feed. I really enjoy all of your recommendations on your monthly “What I’m Into” posts. Books such as The Secret Garden and Little Women are timeless. In regard to Duck Dynasty, my husband and I just watched a few clips from that the other day. It is hilarious and reminds me of home, when I lived in the south. Thanks! Those books are classics for a reason! Not sure Duck Dynasty fits in the same post, but it sure makes me laugh! People don’t realize how loveable rednecks can be sometimes. Ahahaha Benedict Cumberbatch as Mary Poppins!!! I pictured that and almost fell off my chair. Can we start a petition? I could totally get on board with that! Maybe a whole series… Home Alone, Willy Wonka, maybe Sound of Music? He’s just SO intense! How can anyone, especially in a children’s literature class NOT know about Little Women. That is a travesty. I also love The Lion, The Witch, and the Wardrobe. love all the books you mentioned! i will be reading charlie and the chocolate factory with my six year old this summer. we read the lion the witch and the wardrobe and loved it and are currently reading the little house series! Classics! We read them to our kids too. I hear Duck Dynasty is pretty hilarious – I’ll have to check it out! It’s goofy and a little “put on” but I find it hilarious! Especially as a foil to the other shows of its kind! There are people in this world who don’t appreciate Alcott?! My soul joins you in weeping. How fun to reread so many great books in your class! I know, right! This course has confirmed that I am decidedly old school in my tastes in children’s literature. There’s good stuff that’s new, but I love the greats I grew up with best!